What Do I Do with The License Key? Enter the license key in the Settings menu. 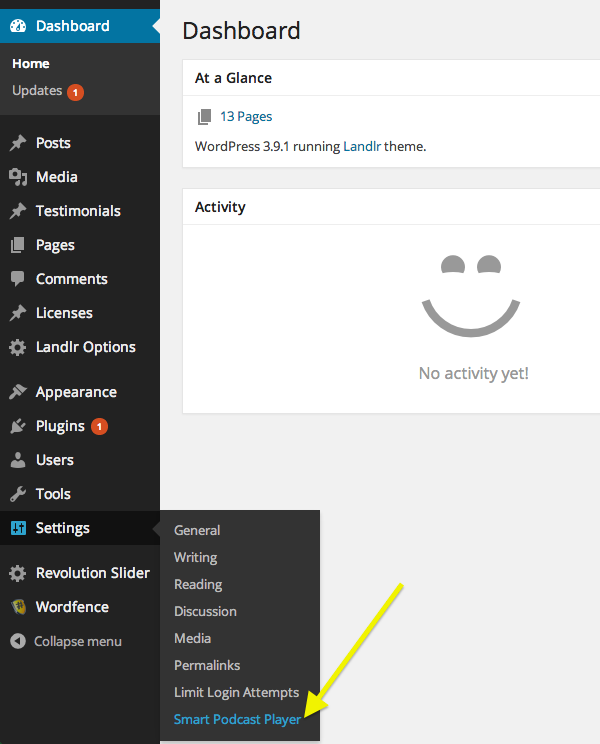 For a video walkthrough of this process, go to our Getting Started guide and watch Getting Started 4: Installing the Plugin. 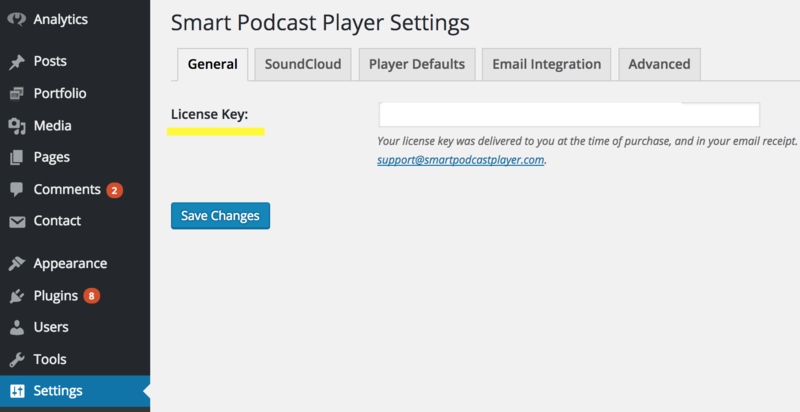 In the left-hand menu, go to Settings -> Smart Podcast Player. In the General tab, enter the key in the License Key box.